Berries are still in season and cheap! Woohoo! I’m enjoying the on again, off again summer weather we are having. At least the on again part. It reminds me of Melbourne so much it’s creepy. I always make the most of summer, when I am not just restricted to bananas, kiwi fruits and oranges. Does anybody else get annoyed with seasonal changes in foods that mean we have cop both the exorbitant fees for the fruits we can eat as well as the tempting aromas of apple pies and pear tarts over winter? It’s so unfair! Let’s get ready to CRUMBLE!!!!! 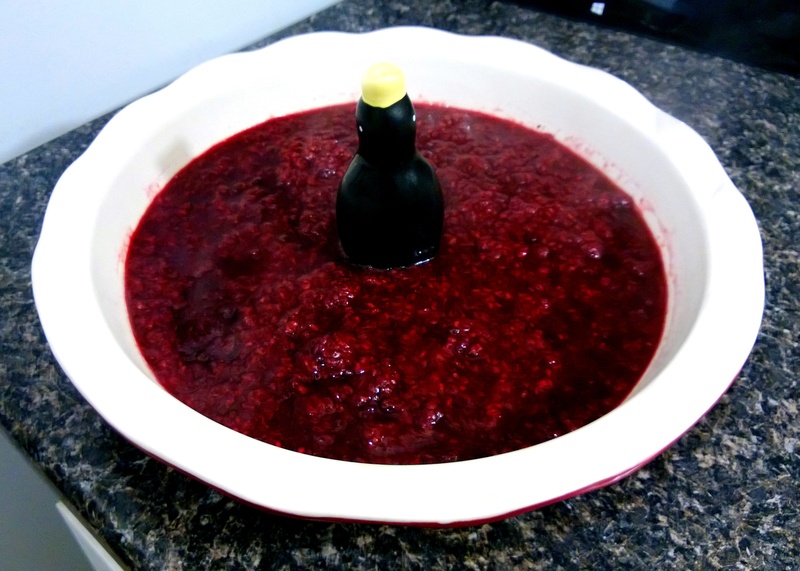 In a saucepan, combine the berries (4 cups in total, you can choose your mix) and the vanilla extract and simmer over a low heat for 30 minutes. Mash them until they are 50% pureed and let the mixture reduce for the rest of the half hour. 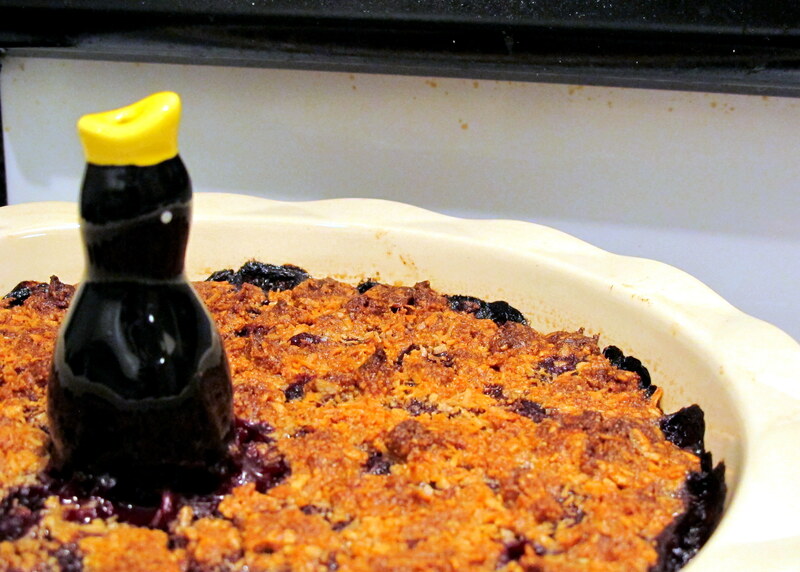 Lightly butter a 10 inch pie dish and if you have an uber cute pie bird, pop it in there. 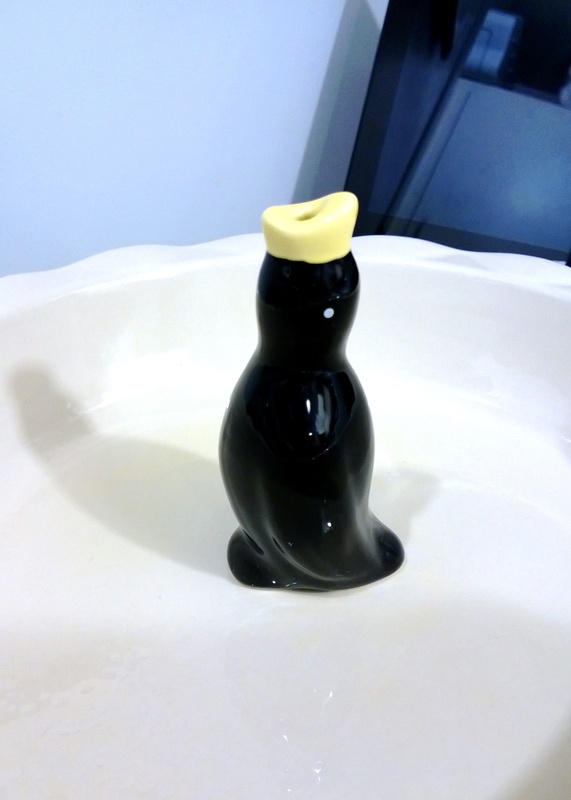 They are supposed to let out steam as the pie cooks, thus ensuring you don’t have a runny filling. They’re more for proper pies that are sealed in pastry – preventing steam from escaping – but I couldn’t wait to use mine, so I did. 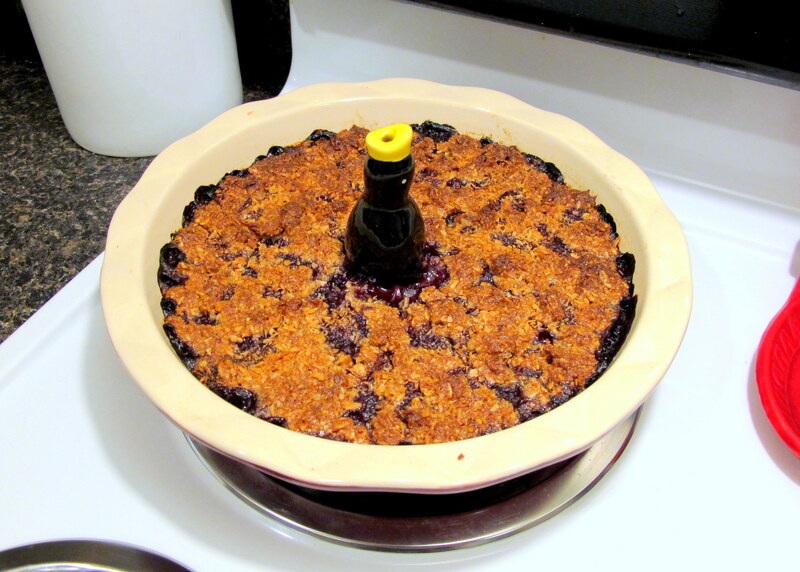 Pour in the berry filling and let it cool a little while you are preparing the crumble topping. Put the butter, oats, almond meal, cinnamon and dextrose in a food processor and mix until combined. Or you could mix by hand if you wanted to, it would just take a lot longer. If you choose the latter method, make sure you combine all the ingredients thoroughly by pinching/smooshing them together. 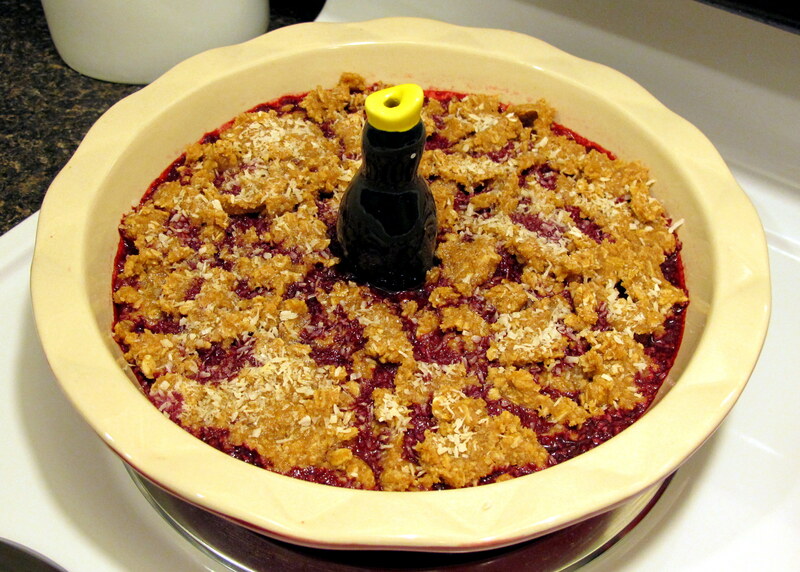 Tear the crumble mix apart and spread it over the top of the slightly cooled berries. Sprinkle with desiccated coconut. If you have a massive sweet tooth, the 1/4 cup dextrose might not be enough. You can always add more dextrose/sugar to your own taste. 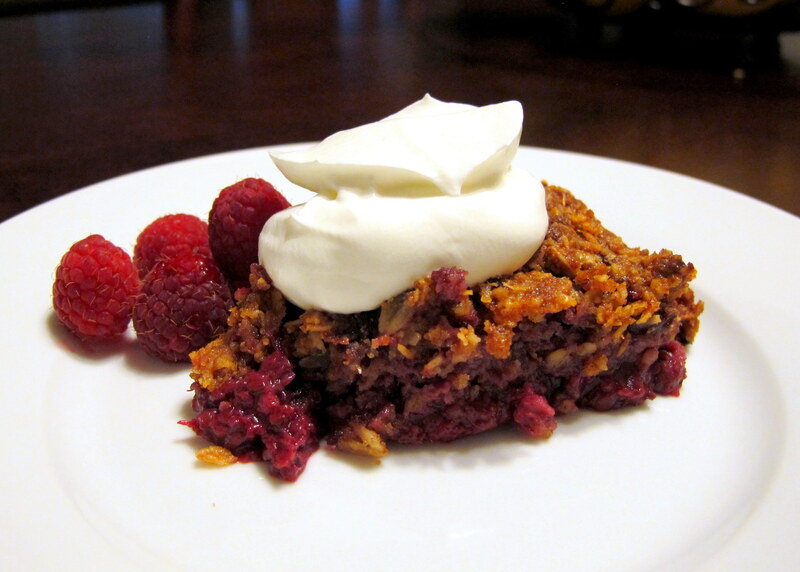 Bake for 30 minutes at 180 C/350 F.
Serve with whipped cream, cream, ice cream or a vanilla bean custard. 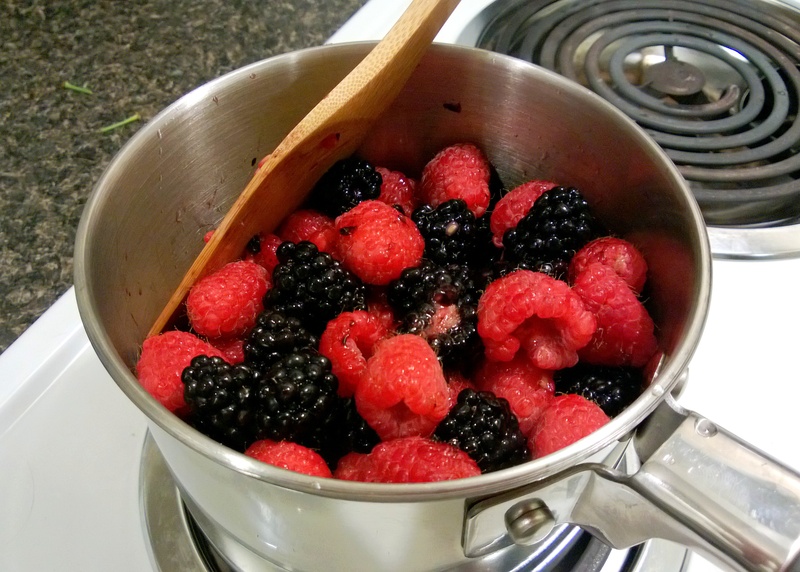 Garnish with mint leaves or some more fresh berries and enjoy. 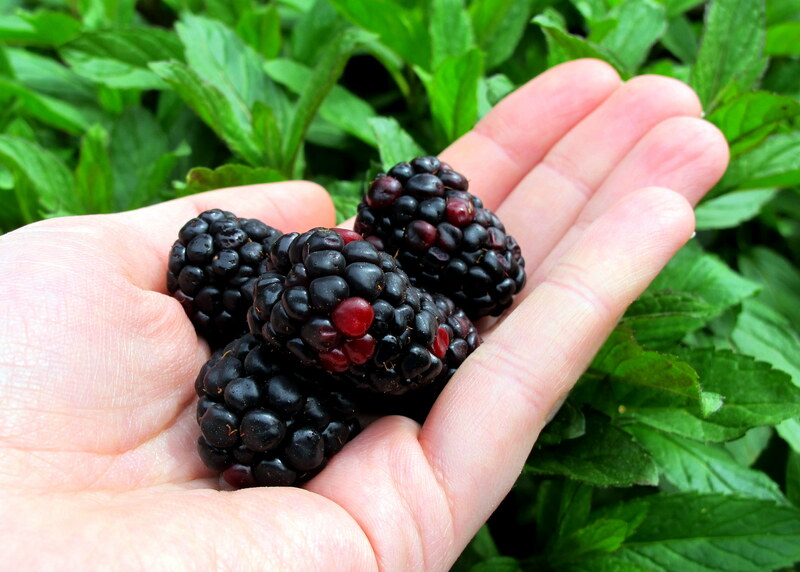 Blackberries have sorbitol in them. If you are sensitive to polyols (the P in FODMAPS) then it would be best to sub in a different berry type. Oats are naturally gluten free but are often contaminated with gluten from the equipment they are processed on. Some Coeliacs are able to cope with GF oats but some are so sensitive that they will still react. If you are also avoiding gluten, just take that into account and maybe substitute oats for a GF rice porridge mix or a different GF cereal. This entry was posted in Sweet pastries, pies & tarts, Sweets and Desserts and tagged berries, blackberry, blueberry, cobbler, crumble, custard, dessert, dextrose, Dog, food, fructose friendly, fructose malabsorption, fruit, GF oats, glucose, gluten free, healthy, home-cooked, homemade, jam, low fructose, low sugar, mixed berries, nuts, oats, pie, preserves, raspberry, Seattle, strawberry, sweet, tart, vanilla, vegetarian. Bookmark the permalink.